After a courageous battle with cancer, Dwight Allen Young left for heaven to be with his parents, grandparents, aunts, uncles, niece & nephew who had preceded him, passing away with loving family & friends by his side on April 5, 2016 in Kalispell, Montana at the age of 66. Dwight leaves behind his 3 children and 5 grandchildren; son, Dwight Young Jr. (Crystal & Dusty) of Herrick, SD., daughter, Loretta & Travis Lang (Alexa & Tristen) of Lakeside, MT and son, Heeth & Mindy Young (Jessah) of Pequot Lakes, MN. He also leaves behind 3 brothers & sisters-in-law all of South Dakota; Weary & Sandy of Burke, Doyle & Barb of Brandon and Boyt & Theresa of Hamill, many nieces, nephews and great nieces & nephews as well as numerous extended family and friends. 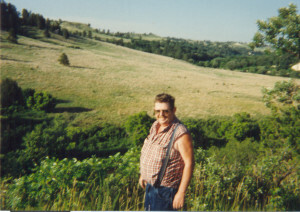 Dwight was born on July 31, 1949 in Gregory, SD to Darrell and Helen (Brevik) Young. He grew up as the third of four boys. Boy oh boy, did Helen have her hands full with all of them. Dwight graduated from Burke High School in 1967 and went on to the National College of Business in Rapid City, SD where he graduated in 1970 with a degree in Accounting. 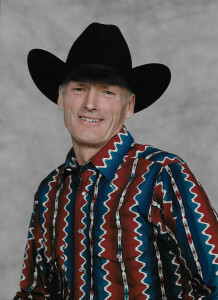 During his time in Rapid City, Dwight met and married Pamela Rae Coldwell in 1969. Together they welcomed Dwight Jr., Loretta & Heeth to this union, sadly the marriage ended in divorce. Dwight Allen Young, to those who knew him best and even those who only knew him briefly, it was obvious that first & foremost he loved his children & grandchildren very deeply and with great pride. He also had a great love for all of his nieces & nephews, with a special place in his heart for all of those “great” ones, frequently pointing out the importance of taking the time to spend and make lasting memories right now. “Time passes so quickly” he would always say. Dwight loved all animals great & small and seemed to have an innate sense of what they needed and how to care for them. He always had a bit of an extra soft spot for his horses, dairy cattle, sheep, rabbits and dogs. As the years passed Dwight thoroughly enjoyed sharing the joy of a new puppy or other small animal with all of those around him, especially the obvious delight or the sound of a giggle it would bring, especially to the elderly and the young. He truly enjoyed being able to bring a smile and joy to others, even when many times he was suffering tremendously in silence or might himself not have had much to give. Another great joy for Dwight was in growing and tending his plants, no not in fields of beans or corn or wheat, but in tending and sharing his gardens full of vegetables, flowers and fruit trees that treated the eyes to some of God’s beautiful wonders. Dwight truly was one of God’s great garden keepers. Grace was born October 8, 1919 at Loudonville, OH to Homer and Effie (Bunting) Morris. She attended country schools until the 7th grade; she went on to graduate from Sullivan High School in Sullivan, OH. She married Gaylord Wise in Sullivan OH in 1937 and they had one daughter, Janet. She married John Jenson of Presho, SD in 1949 and they farmed near Presho until moving into town in 1982. John passed away in 1986. Several years after John passed away Grace went home to Ohio to visit family. While home in Ohio she was reacquainted with her first husband Gaylord. They remarried in 1995 almost 60 years after their first marriage. They spent their time in Presho and Ashland, OH until Gaylord passed away in 1999. Grace was a member of Zion Lutheran Church in Presho. 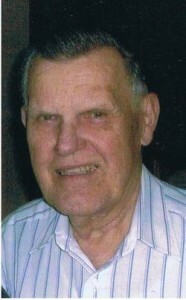 George James Pranaitis, age 89, of Eveleth, Minn., died Sunday, May 15, 2016, at Essentia Health Virginia Care Center. He was born August 28, 1926, in Collinsville, IL, the son of Joseph and Eva Pranaitis. He graduated from Collinsville High School. George was united in marriage to Fran Stone in 1948, and following her death was married to Jean Decorsey until her death. A Veteran of the US Army, George served during WWII. George worked as a manager for JC Penney, and was in fact hired by Mr. Penney himself. He managed stores in Illinois, Indiana, South Dakota, and Minnesota. He was the manager of the JC Penney store in Winner for many years. He assisted his daughter, Debbi at Little Italy in Gilbert. After his retirement and up until the time of his death, George worked for Green View as a maintenance man for the DNR office in Eveleth. His greatest achievement was building 838 Bluebird houses and 2393 Wood Duck houses that were used on private and state lands and were donated to various wildlife organizations. Paul Randall Vaughn was born on August 25, 1940 to Lyle and Cecil (Alexander) Vaughn on the family home south of Herrick, SD near the Ponca Creek. Many adventures were had growing up along the “crick” with siblings AdaMae, Sonny, Inez, Ray, Rosemary, and the twins, Sharon and Karon. 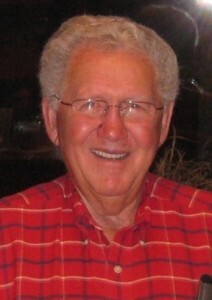 Paul attended grade school at St. Charles, SD and graduated from Bonesteel High School in 1958. While in high school, he was very involved in sports including basketball, football, and track. Immediately upon graduation, he attended summer school at Springfield Southern Teachers College. That fall, just turning 18 years old, he began a 17 year teaching career in the surrounding area mainly in country schools. Some of his most memorable teaching years were spent in the Iona, Carlock, and Herrick area. During much of his teaching career, summers were spent hauling small square bales to make ends meet! On August 1, 1959, Paul along with his brothers were involved in a devastating automobile accident near Atkinson, NE. A month long hospital stay resulted, in which 14 days were spent unconscious with both jaws and his nose broken. The accident was something he spoke of often. Paul met the love of his life, Betty Manke, at a dance in Colome, SD. They were united in marriage on November 3, 1962 and to this union one daughter, Rhonda Lou was born. Paul was baptized and confirmed into the Lutheran faith. He was a member of the St. John Lutheran Church serving as elder, usher, and various other positions. He enjoyed Sunday morning Bible studies and fellowship. His church life was very important to him. Paul never met a stranger and enjoyed visiting and getting to know people. So in 1968, when he became a charter insurance agent with Continental General Insurance Agency, it was a perfect combination. Along with his wife Betty, Paul began the Vaughn Insurance Agency. He continued in this career until the time of his death. He built a reputation of customer service, and would try his best to ensure that his customer’s claims were met. He spent many hours on the phone negotiating with hospitals, clinics, his own insurance company, and even Medicare. During his successful career he was awarded for his accomplishments. He was particularly proud of achieving 781 weeks in the app a week club. Also notable was attaining membership in the top life insurance sales in 1991 and being named his company’s Top Health Individual Producer of the Year in 1993. In 1995, after years of saving and planning, Paul and Betty were able to build their dream home east of Gregory. Paul thoroughly loved his house, his yard, watching the trees grow, and sitting on his porch watching the traffic go by. Paul loved sharing a good story, playing a game of cribbage, dancing to a good old song, watching his corn and hay grow, playing a competitive game of pool, watering Betty’s flowers, spending time in his home, driving old white Cadillacs, telling stories about his 57 Ford, and enjoying anything his daughter Rhonda was involved in. Paul and Betty were known for their dazzling Christmas displays. He was an avid fan of the Gregory Polka band where he loved to hear Rhonda’s saxophone. He was proud of his son in law Tom Waterbury and would jump at the opportunity to help him any chance he had. Paul was an extremely prompt person, and being on time meant being there early. Paul struggled with several health issues the last several years, but he continued to maintain his business. However, on Feb. 2, 2016, he was diagnosed with pancreatic cancer. Even though his body was weak, he chose to battle this horrible disease. He put up a brave fight, but lost his battle on May 16, 2016. He passed away peacefully surrounded by his family at the Burke Community Memorial Hospital at the age 75. 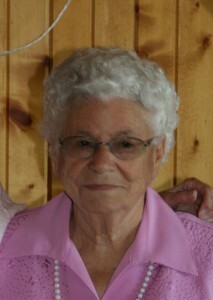 Norma Jean Fischer was born May 25, 1933 at Pierre, SD, to Clyde and Iva (Sass) McDonell. She grew up at Murdo, SD, and graduated from Murdo High School. Norma attended SD State College and then was employed as a legal secretary for Porter Law Firm in Chamberlain. She married Marvin Fischer on September 15, 1956 at Chamberlain and they were blessed with four children. They lived in Dallas, SD and Wall, SD, where they owned and operated Fischer Implement before moving to Olivia, MN, in 1977. 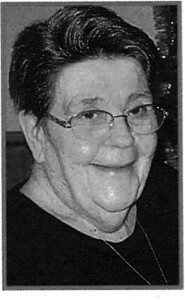 Norma had been employed at RBA, Revile County Court House, North Central Ag, and Jackpot Junction retiring in 2001 when she moved to Willmar. Even in retirement she kept her mind sharp such as when she earned a degree in Medical Transcription. Norma had enjoyed quilting, collecting owls, and putting puzzles together. She was also very proficient at using her computer, enjoyed Facebook, and loved socializing and spending time with her family. Charles DuBray Sr., age 51, of Rosebud, passed away on May 15, 2016. Funeral Services will be held at 12:00 PM Friday, May 20, 2016 at the Winner Ideal Community Hall in Winner. Burial will follow at the Calvary Episcopal Cemetery in Okreek. Wake Services will start at 7:00 PM Wednesday and Thursday, May 18 and 19, 2016 at the Winner Ideal Community Hall in Winner. Charles DuBray was born to Dewey DuBray (deceased) and Wanda Standing Cloud (deceased). He had 4 brothers, Anthony DuBray, Duane DuBray, Allan Lunderman (deceased) and Dewey DuBray; and 3 sisters, Connie Rodriquez, Jenny Swallow, and Brenda DuBray. Chuck also has 3 uncles, Wiley DuBray of Ideal; Chuck Floyd of Rapid City, and Ted Standing Cloud of Rosebud. Charles has 2 children, son Charles Dewey DuBray, Jr., and Charlene Iris DuBray, and 3 grandchildren, Charles Dewey DuBray III, Sophia DuBray, and Benjamin DuBray, who live in Winner. Charles lived in Winner from 1984 to 1998 when he returned to live in Rosebud, where he passed away in his sleep on May 15, 2016. Alfred LaVern Bettcher, 66, of Winner, South Dakota passed away on Sunday, May 15, 2016 at his home in Winner. A memorial service was held on Friday, May 20, 2016 at 10 a.m. at the Mason Funeral Home in Winner. A private family burial will be held at a later date. On May 2, 1950 Mr. and Mrs. Albert Bettcher were blessed with a handsome baby boy “LaVern”. LaVern was born in Valentine Nebraska. He grew up in the Winner and Carter area. LaVern lived on the family farm where he helped his parents. On August 17, 1978 he married Sharon Paulson where they lived in the Carter area for three years. After that LaVern and Sharon moved to Winner until his time of passing. LaVern and Sharon had no children together but had several step children: Randy, Ray, Marti and Precious. LaVern was very kind hearted. He cared for and loved his children and grandchildren. The South Dakota state sales and use tax will increase from 4 percent to 4.5 percent on June 1. All transactions that are currently subject to the 4 percent sales and use tax rate will be subject to the 4.5 percent sales and use tax rate effective June 1. The municipal taxes are not affected by this rate increase. The half cent sales tax increase was part of the legislative package to increase teacher pay. Secretary of State Shantel Krebs announced that the challenge submitted for the initiated amendment to the South Dakota Constitution Limiting the Ability to Set Statutory Interest Rates for Loans (18%) was unsuccessful. An Initiated Amendment to the Constitution Limiting Ability to Set Statutory Interest Rates for Loans (18% rate cap) was originally validated January 4th and certified to be on the November 2016 general election ballot as a ballot measure the citizens will vote on. The sponsor turned in 63,772 signatures to the Secretary of state’s office. A Constitutional Amendment requires 27,741 signatures from South Dakota registered voters. Once the signed petitions were delivered to the Secretary of State’s office, a 5% random sampling was conducted in accordance with 2-1-16. It was determined that 66.17% or 42,195 of 63,772 signatures were in good standing. The petition challenge was submitted by Cory Heidelberger of Aberdeen. The challenger submitted specific deficiencies on 1,219 signature lines to the Secretary of State’s office. The review concluded that 885 of the challenged signatures were invalid. This will be Constitutional Amendment U. An individual wishing to challenge the validity of the petitions can proceed to circuit court. Six Dakota Wesleyan University baseball players have been selected to the Great Plains Athletic Conference honorable mention list. Leading the list was Winner’s Austin Calhoon . Calhoon led the team with six home runs and with 42 RBIs.